I was wondering through the Best Buy in the Perimeter Mall in Atlanta Georgia today. I stumbled upon the Galaxy Note 5 with 64 gigabytes of memory cheaper than I could get it in Albany Georgia. 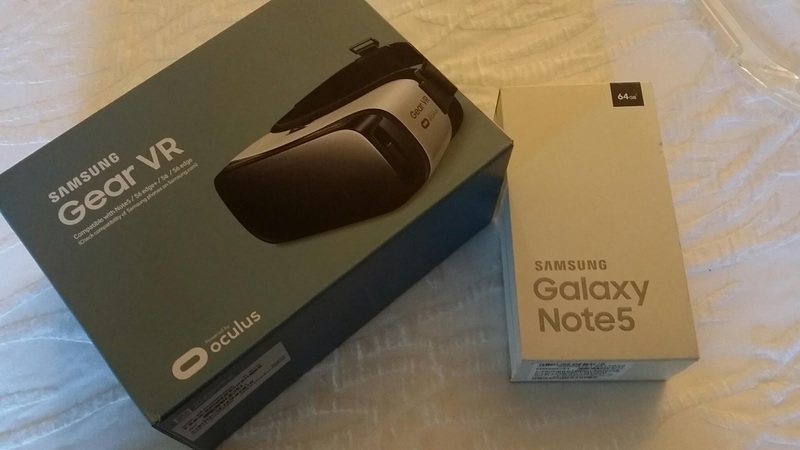 It just so happens that Best Buy was also offering free Samsung gear VR with each new phone. It looks like Santa Claus made a late delivery. Sylvia got one too.